Fans spend a lot of time speculating when Alex O’Loughlin performs his own stunts in Hawaii Five-0. Some he does, some he doesn’t. 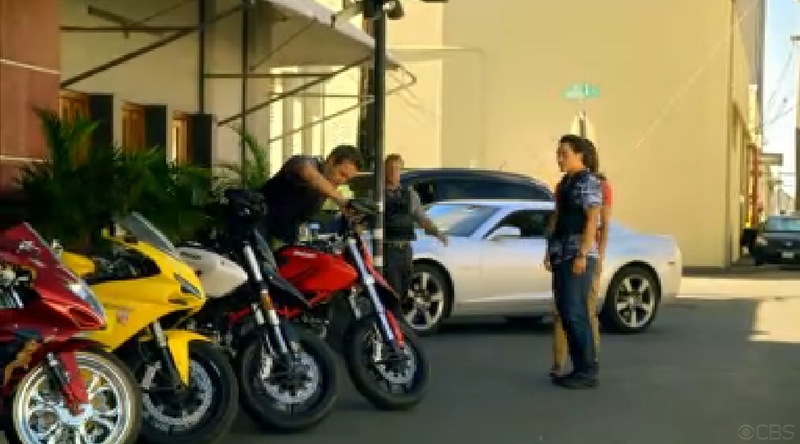 In the episode "Ke Kinohi," McGarrett takes a motorcycle and uses it to break down a door and climb stairs. It’s definitely Alex mounting the bike and pulling out. But there is a cut just before the fishtail turn and from that point on, no clear shot of Alex’s face. As the rider does his wheelie to hit the door, the arm tat of the rider does look like Alex’s. But we know his stunt double will wear tats as needed. Another cut in the filming and someone is riding up the steps. Q: Are you a motorbike addict? Alex: "Yeah, I am. The studios hate it. That’s my most dangerous vice. That's just something I've always loved." Certainly CBS would not risk Alex doing any stunt that might result in broken bones or a body cast. That’s why they have clever film editors to mix and match shots of Alex and his stunt double. And the fact that we question if it is Alex is a tribute to their skill. 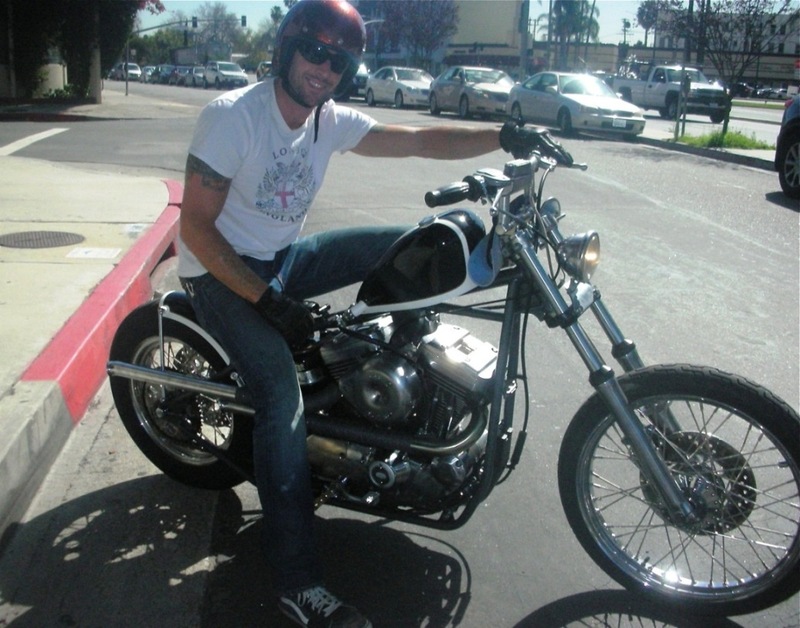 BUT, I firmly believe Alex is quite capable of and would probably enjoy any stunt with a motorcycle. “Yeah, I’m crazy for motorcycles. I’ve been riding since I was five-years old, so it’s like a part of me. My dad got me into them! I loved them since I was a kid. For as long as I can remember I’ve always had a deep fascination with engines and a longing for danger. Pshaw, this man would not hesitate to knock down a door with a motorcycle! * Alex took his old evo sporty to Cro Customs and they rebuilt the bike from the ground up. I am quite scared of motorbikes. Too open and unprotected for me. 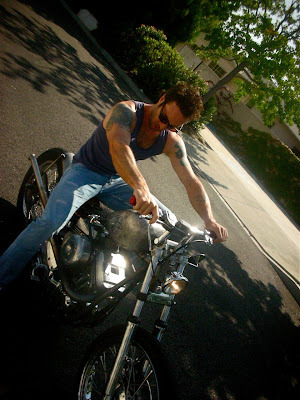 Maybe if I learned to ride one myself, I would like it(I'm a little bit of a controle freak)....BUT man I would not mind being on the back of this mans motorbike!! The bike stunts I like it very much. 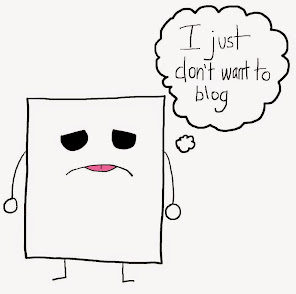 Its very risky job. But I like to see it. Stunts man should very careful when he/she performed. Thank you for the post. What's Next for Alex O'Loughlin? "We'll get back to you...Next!"